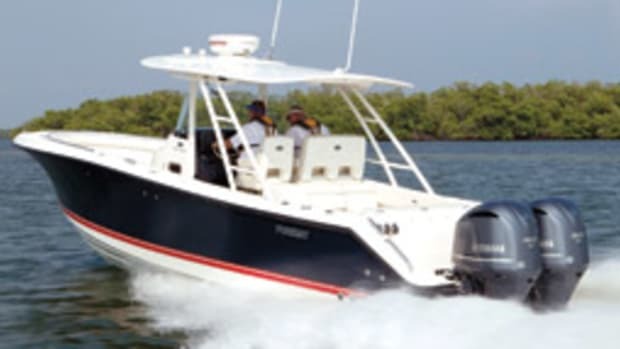 Using one of its proven hulls, Henriques Yachts has created a simple, easy-to-maintain extended pilothouse express — the Maine Coaster 42 — that will thrive as a fishing, cruising or charter boat, the Bayville, N.J., builder says. 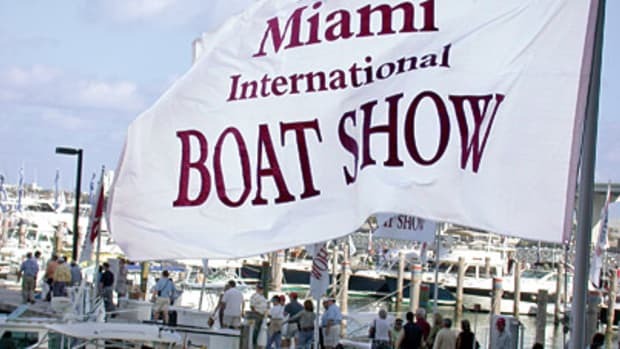 “With today’s economy, we decided to come up with a boat that’s not only affordable but also easy to maintain,” Henriques construction manager Manny Costa says. 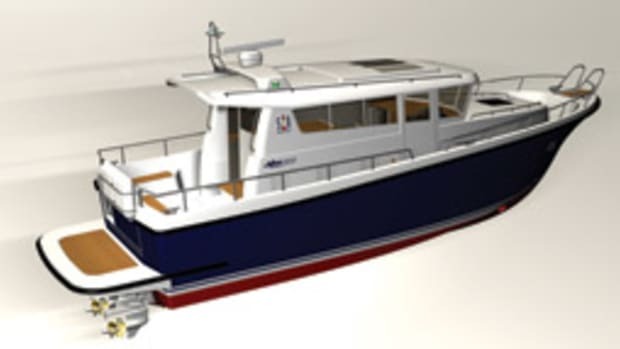 For example, Henriques paints the pilothouse and cabin interior with white Awlgrip and uses minimal wood trim or paneling in those areas, Costa says. 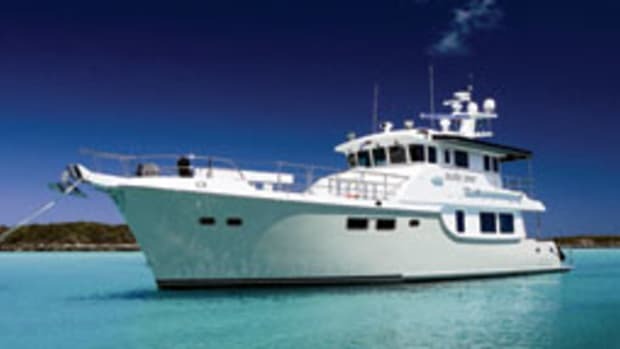 Henriques introduced its 42-footer in 2005 with express and sportfish models. The company has built three Coasters. The first two were built in a full walkaround design; the third model is a three-quarter walkaround, which provides more interior room. 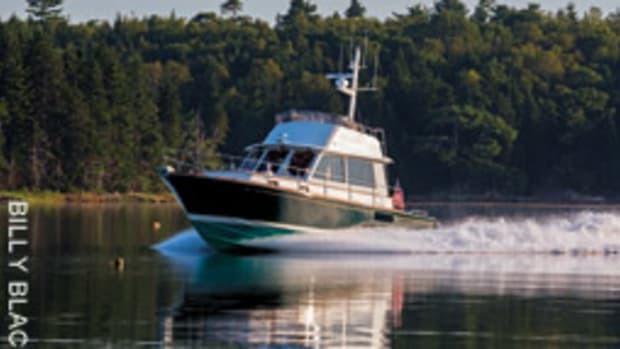 A pair of 550-hp John Deere 9-liter, 6-cylinder diesels powered the Maine Coaster that was on display in September at the Norwalk (Conn.) Boat Show. 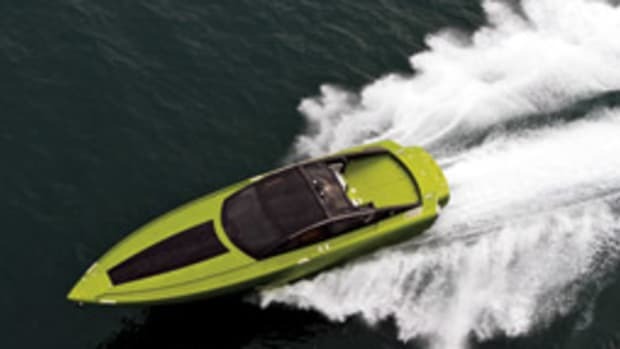 The boat cruises at about 28 knots, burning 42 gallons an hour, with a range of nearly 400 nautical miles based on 90 percent of the 660-gallon fuel capacity. The modified-vee hull gains deadrise moving forward (about 25 degrees amidships) and sharpens to 55 degrees at entry. The semicustom builder hand-lays the hull using vinylester resin for the first few laminate layers and polyester thereafter. The Maine Coaster has a solid glass bottom, with Divinycell-cored sides (starting at the waterline) and decks. “It’s a two-piece boat. 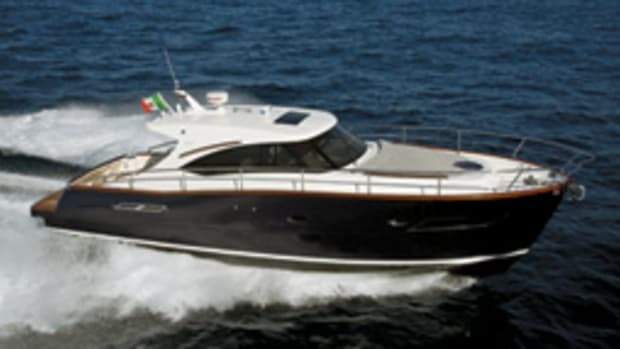 The hull [is one piece] and the deck, pilothouse and everything else is one piece, which makes for strong construction,” Costa says. There is 360-degree access to the John Deeres in the centerline engine room. Remove the cockpit fishboxes to gain access to the running gear. A centerline lazarette provides rudder-post accessibility. 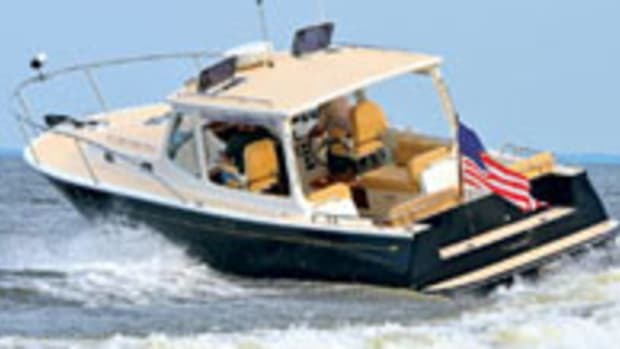 In the aft portion of the pilothouse, a starboard-side day head is accessible from the cockpit. 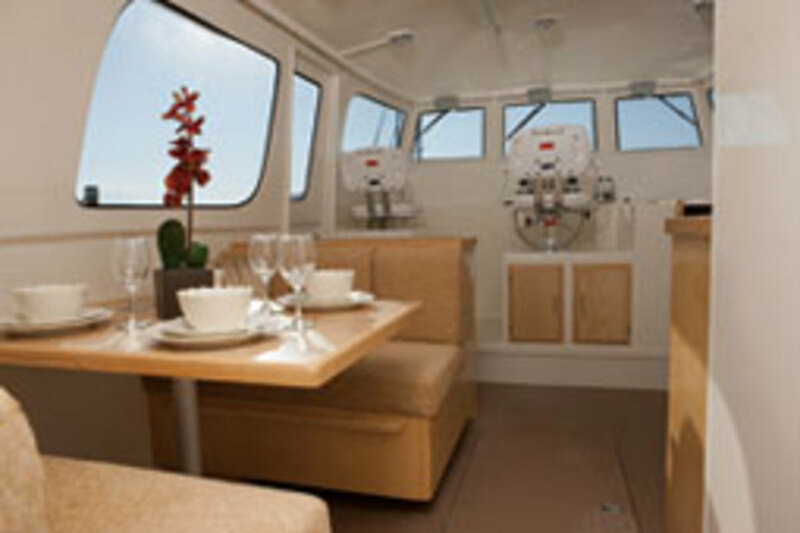 The dinette and settee are on the port side, and the galley is on the starboard side and forward of the day head. 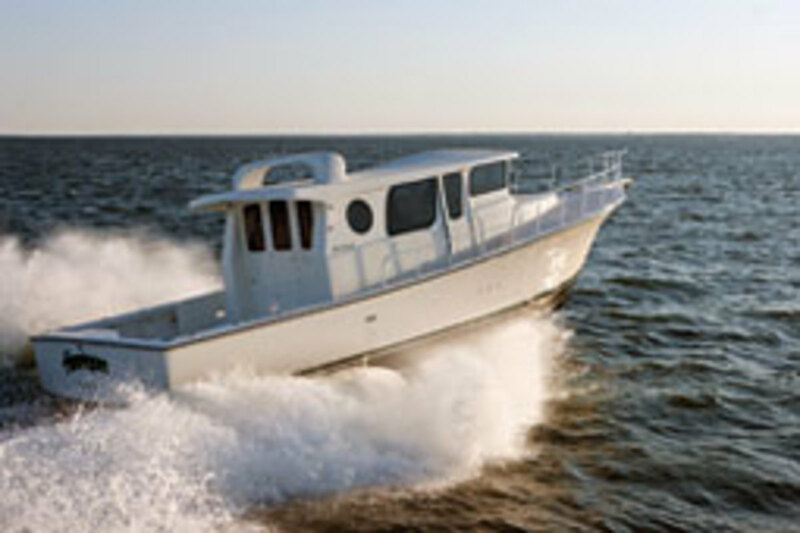 The raised helm speaks of simplicity, with a flat panel stretching the width of the pilothouse. Engine instruments, a VHF radio and one electronics display were mounted there on the boat in Norwalk. A starboard-side companionway leads to the two-stateroom cabin. A head with shower separates the port-side master stateroom from the forward stateroom. A large rod locker stretches fore-to-aft along the starboard side.